God is not dead, after all. Not, that is, if we are to subscribe to a number of trends in contemporary philosophy. This is all the more remarkable in the light of a long tradition in philosophy dating back to the 18th Century Enlightenment, dictating that religion should be regarded with condescension. "The Return of God" marks a renewed determination to enter into dialogue and presents a number of prominent philosophers who take an interest in elements from Christian theology. 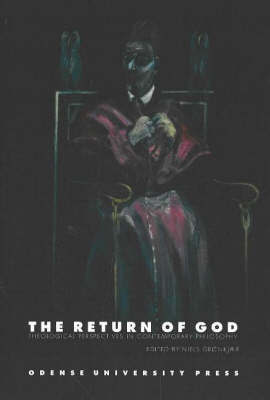 "The Return of God" discusses philosophy and theology in the twentieth century and in Antiquity as well as gnosis, secularisation, the history of salvation and hermeneutics. A wide range of themes are joined in the effort to try to provide an answer to the question: in what sense can the Judeo-Christian tradition have any decisive influence on philosophy today?